Farm & Ranch | H & H Custom Buildings, Inc.
Every farm and ranch in Montana has its own unique needs when it comes to managing their business. H&H Custom Buildings’ custom pole barns provide an economical solution to your agricultural building needs. Properly maintain your expensive equipment in a custom farm building that will last a lifetime. 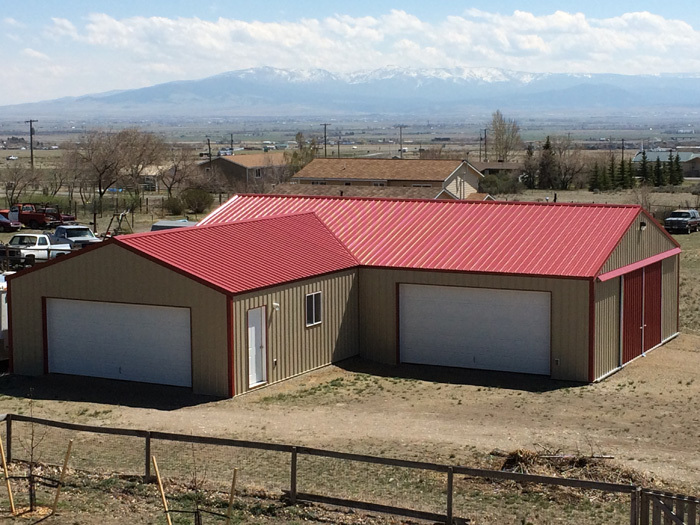 Quick to erect, our agricultural buildings come in any size you want with many options to choose from. Simply request a pole barn quote to start budgeting for the horse barn or farm building that will help you run your business more efficiently. If your business needs large door openings and open space to move around, we can accommodate your needs. Most of our farm and ranch metal buildings have no interior poles while maintaining the ability to clear large distances and offer doors up to 60-feet wide and 20-feet tall. Our farm buildings use double trusses for added strength and added flexibility. All of our post frame metal farm buildings are constructed with high grade lumber with poles treated to withstand the test of time and give you decades of use. 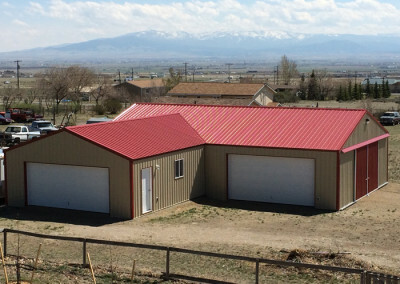 In addition, a new H&H Custom Buildings agricultural building can be constructed with fewer resources than traditional construction methods which lowers the cost per square foot of usable space. When harvest time comes you need a weather-tight building to store your hay, grain or feed out of the elements. A support structure also needs to be designed for easy access and optimal work efficiency. H&H designers and experienced crews will help you build efficient and effective crop storage. Maybe you need some heavy-duty commodity or bulk fertilizer storage? We have the experience you need to help you design and build your next building.